This type of exercise originated in south Asia thousands of years ago, the purpose is the unite the mind, body and spirit. They use the whole body structure using the environment to heal the body and help mental harmony. Lyengar: precise alignment and deliberate sequencing using props. Kundalini: constantly moving, invigorating poses. Restorative: using less poses and increased breathing techniques. This type of exercise was created by Joseph Pilates in the 1920’s. The purpose of Pilates is to gain flexibility, strength and body awareness. Although the routine is performed on a mat, there are specific Pilate’s machines; this type is called the Cadillac and reformer. Classical Pilates: fully equipped studio, with original series of movements in a specific order. Questions you can ask yourself before choosing? Are you seeking exercise for a mental benefit? All exercise is linked with improving your mental health, yoga may be most effective for this as it focuses on the mind, body and spirit. What physical benefit are you hoping for? Pilates is known for focusing on core strength however yoga has an overall benefit. Have you currently got back pain? Some routines/positions can increase pain therefore informing your instructor of your current situation is important. No to props? Yoga using your body weight with a sequence of positions where Pilates uses different props to enhance the technique. Ultimately the choice is yours, trying out both and deciding what works best for you. Yoga provides a meditative environment for you to improve overall quality of life, focuses on stress relief while improving our body. Pilates works from the centre of your body outwards, it forces to increase your body awareness. 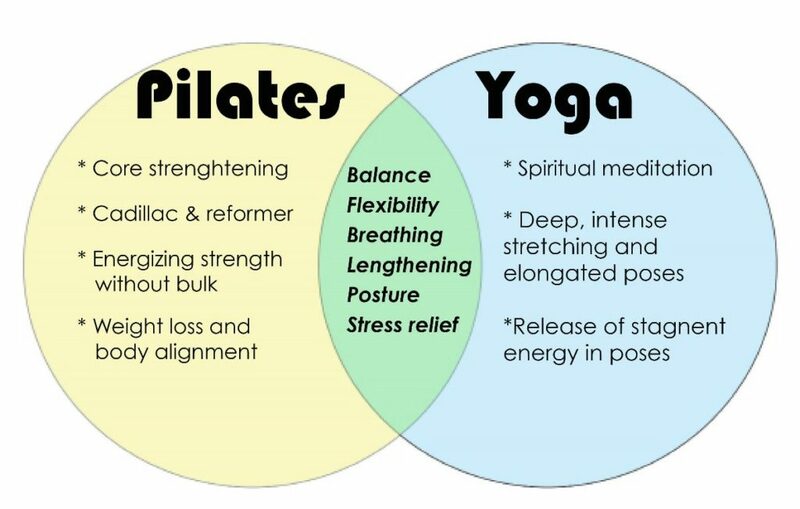 In my opinion, yoga is excellent for everyone by improving their mental health, but allowing a combination of Pilates to optimize your body function.